More than a few big names with Ultimate Fighting Championship (UFC) have left the promotion for greener shades of money at Bellator MMA, but Matt Mitrione doesn’t think he’ll be joining them. Yet. The heavyweight told Ariel Helwani on The MMA Hour (transcribed by Luke Thomas at MMAfighting.com) that despite his free agency status he’s in a “good spot” with UFC. He also has some “unfinished business” with one Travis Browne. Mitrione revealed he’s received a “very nice offer” from Bellator MMA which he’s forwarded on to his employers to see if UFC decides to match and keep the six-year veteran put. “If they do, awesome. Great, then we can have a conversation,” said Mitrione, adding UFC has two weeks to respond to the offer but he doesn’t expect it to take that long. 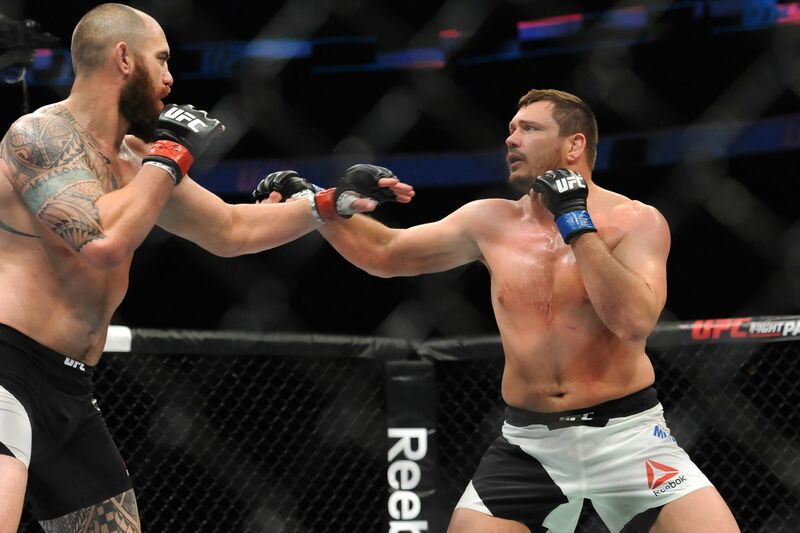 Mitrione, 37, is one the rare fighters who began his MMA career right in the pros, compiling a 9-5 record in UFC after graduating from The Ultimate Fighter: Season 10. Earning the nickname “Meathead” from Rashad Evans on the show, he was on a three fight win streak as recently as 2014 before running into Ben Rothwell and the controversial Browne fight. What’s next for Gegard Mousasi after taking out Uriah Hall in Dublin?